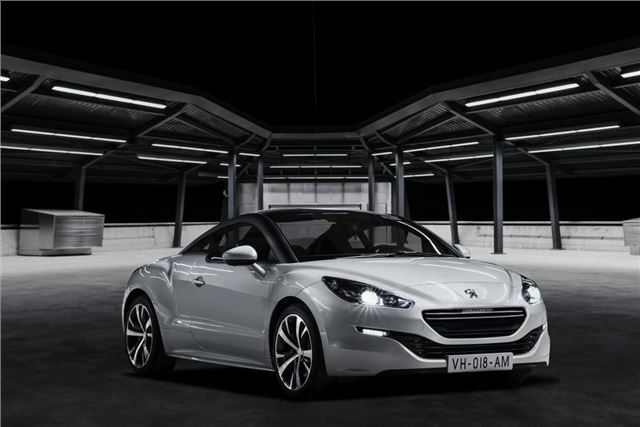 The restyled Peugeot RCZ will be launched in the UK in January 2013 and promises a raft of visual and equipment upgrades to go with its new 208-inspired front-end styling. Prices rise by around £400 per car, and start at £21,995 on the road. The main changes for 2013 are the revised front end, and a wider selection of wheel/tyre options. The two model line-up of Sport and GT remains as before, with minor additions to the standard equipment tally - RCZ Sport now comes with automatic lighting, including ‘Approach' and ‘Follow-me-home' features. New options also include half leather and leather/ Alcantara trim treatments. The GT gets interior upgrades to make it more sporting. The leather interior is now available in more colours, and the RCZ's interesting 'bubble roof' can now be optioned in matt black roof arches. There are new body transfer decals and more alloy wheel options, demonstrating the continued visual versatility of RCZ and the extensive choice available to customers. On-the-Road prices for the RCZ Sport start from £21,595, the GT's opening point now at £23,995. Deliveries commence from the second week of January 2013. I've had two Peugeot RCZ's and I wouldn't touch one again, my first GT 156 broke down and I had to be towed on the back an AA truck 7 times in a year and the leather dashboard sagged, the paint started pealing off the alloy wheels the timing chain broke, the turbo blowed up, the parking sensors stopped working and much more plus it lost 10k after 8 months of ownership my second RCZ was just the same so I wouldn't touch one with a barge pole.